State Rep. Rene O. Oliveira was arrested and charged with driving while intoxicated Friday, Brownsville police said in a press release Saturday. 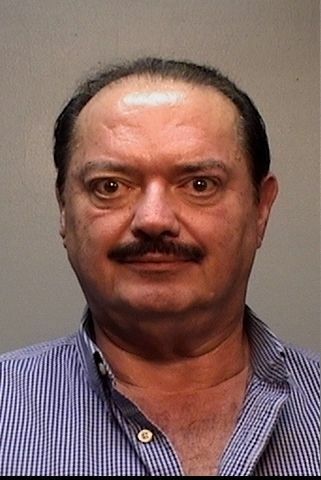 BROWNSVILLE — State Rep. Rene O. Oliveira was arrested and charged with driving while intoxicated Friday, Brownsville police said in a press release Saturday. The police reported the driver of a car linked to Oliveira left the scene of a collision before being questioned by police. The release also reported a woman at the scene told an officer no accident occurred. Oliveira was released from the municipal jail in Brownsville on $2,500 bail Saturday, police department spokesman J.J. Trevino said. According to the release, Brownsville police responded to an accident at 10:22 p.m. Friday in the 800 block of Boca Chica Boulevard. The first officer to arrive saw a dark-colored Cadillac leaving the area and a parked silver Lexus behind it, according to the release. A woman in the Lexus told the officer “that everything was fine and that there was no accident” and drove away. The third vehicle at the scene was a Chevy Cruze whose female driver said her vehicle had been struck from behind by the Cadillac while at the traffic light, the news release stated. “… A male driving the vehicle exited the vehicle and gave her a business card and told her that he would take care of everything,” according to the news release, which said the business card belonged to Oliveira. An officer showed the woman a Facebook photo of Oliveira, and she confirmed Oliveira was the driver of the dark-colored Cadillac, the release said. Officers arrived at Oliveira’s home and saw the dark-colored Cadillac and silver Lexus parked outside, according to the news release. The Cadillac had damage on its front end and two flat tires on the passenger side. “Officers made contact with Mr. and Mrs. Oliveira and after further investigation, Mr. Oliveira was placed under arrest for DWI(accident),” the release said. Oliveira was served with a warrant to retrieve blood, according to the release, and was arrested on suspicion of driving while intoxicated, a Class B misdemeanor. In a statement released to The Brownsville Herald, Oliveira apologized for his actions. Oliveira continued by saying he doesn’t expect special treatment. Oliveira is facing Cameron County Commissioner Alex Dominguez in a runoff election May 22 over the House District 37 seat. Unofficial early returns from the March 6 Democratic primary show he finished with 3,096 votes compared to Dominguez’s 2,329, with all precincts reporting. That left Oliveira short of the 50 percent-plus-one-vote that would have avoided a primary runoff election.